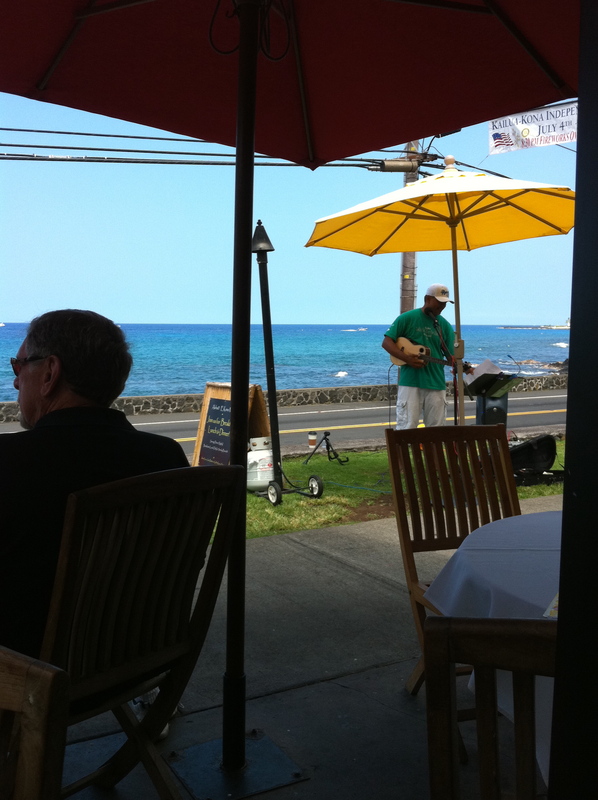 We had a great time during out week in Kona. 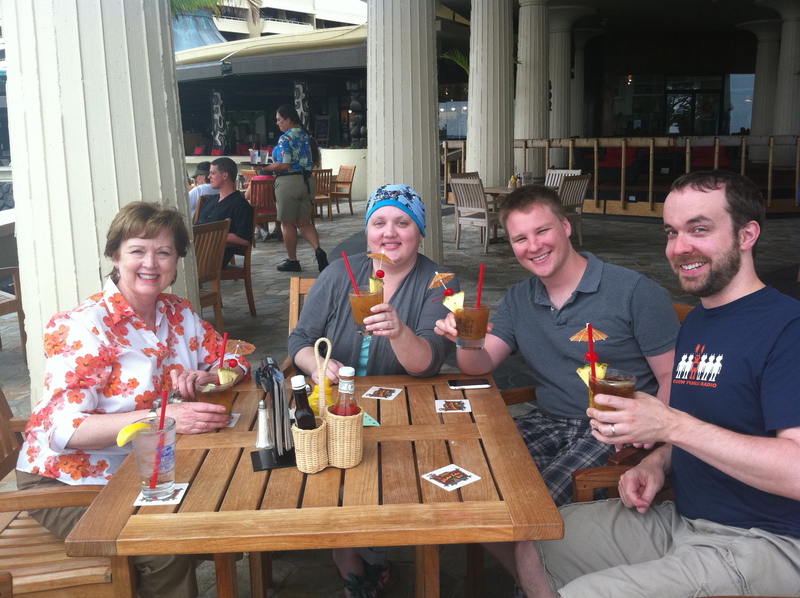 There were many many mai tais and piña coladas, especially at the oceanside bar at the Royal Kona. The condo was great and there was plenty of room for me, my parents, and Matthew&Danny. The best thing I did all week was snorkeling, and we got to go at two different beaches. While we didn’t see any sea turtles swimming, we did see all kinds of colorful fish and coral. It felt really good just to be out there in the salt water floating around. This was our breakfast view. There was live music there every morning. One day we went up to the Hilton and saw the dolphins there, which was really fun. I’d like to go back someday and swim with them, it looked pretty amazing. From there we kept driving north and went to Kamuela to see my old school. The small town there sure has changed a lot, there is even a Starbucks there now! 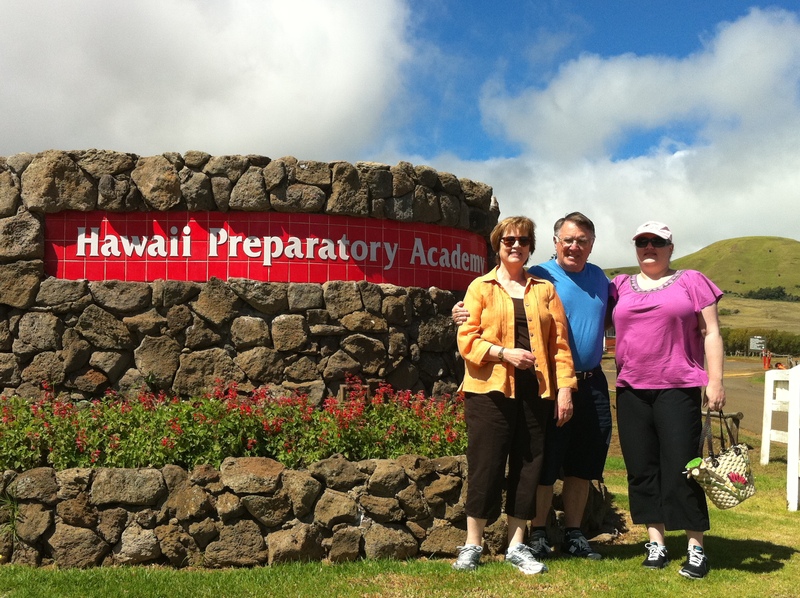 Here is a pic of us in front of the Hawaii Prep sign, at the field where I used to ride horses. 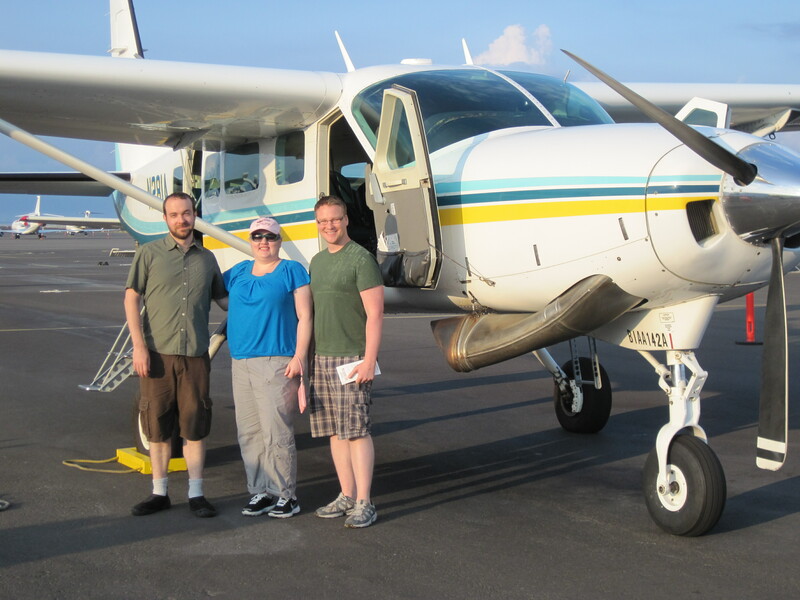 On our last full day, the guys and I got up early and went on a scenic flight tour of the island. It was so amazing to see the active volcano and all the waterfalls over on the Hilo side of the island. We’ll be posting tons of photos soon from that flight, but of course photos will never do it justice! It was a wonderful trip. Matthew, Danny and I have already decided that we need to visit Maui next March to snorkel some more and see the whales. Who else wants to join us? morning and a beautiful view. I think you should be a tour guide! It doesn’t get any better than Hawaii for relaxing in the sun. It sounds like a wonderful trip. I’m glad you had a great time.